The porch pals are so colorful. What wonderful visitors! What a beautiful show they put on for me! 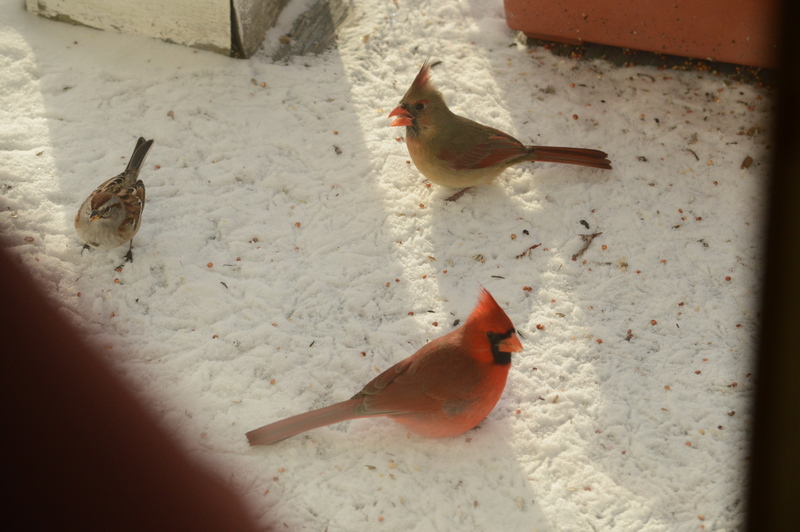 Look for the February Gallery on Crescent Moon Studio for more pix of the porch visitors!